Its been awhile since I updated my stitching, its not where I’ve not been stitching it is just going a little slower. The ornament for theme-a-licious was one with a tree or a wreath. I chose to work on Prairie Schooler’s Kris Kringle. I got all the stitching done and it remains to do the finishing touches on it when I decide which way I want to finish it. I aim to combine both of these themes this month and work on more on the Prairie Schooler Kris Kringle Santa’s. He’s a man which covers the main theme and I’ve one with some snowmen so that covers the ornament side!! Ingenious !! This then frees up some time to work on my Scarlet Letter Sampler..Elizabeth Simon. I finally received my fabric for the chart. 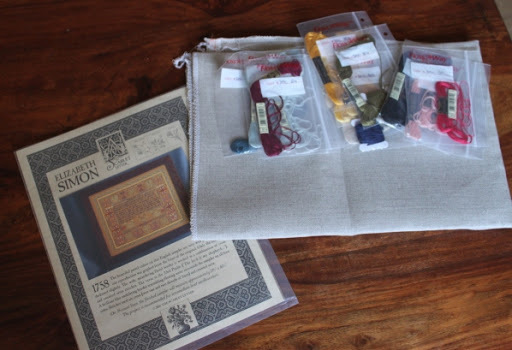 I’m going to be working on 32ct Raw Belfast Linen and using DMC threads.. 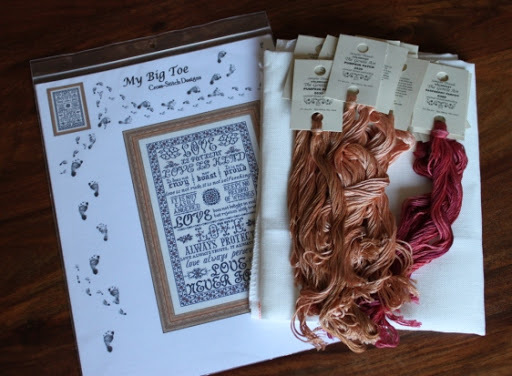 I have also gotten the threads and fabric for the My Big Toe design Corinthians. This piece is in my turtle trot sal and I know its new but its big and needs time. I’m using 32ct Antique White Belfast Linen. I’m using GAST threads in Pumpkin Patch and Raspberry Parfeit. 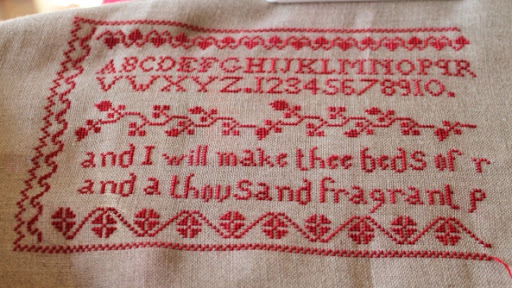 Before starting the My Big Toe piece I may finish off my beds of roses sampler as I really only have a small amount left to complete it. Isn’t he just so cute ! This entry was posted in Uncategorized and tagged Beds of Roses sampler by Terry Loewen., Corinthians, Elizabeth Simon, Kris Kringle, My Big Toe, Nicolas Scarlet Letter Year, Prairie Schooler. Bookmark the permalink. 5 Responses to Theme-a-licious and more !! Great update, Ruth! I'm sure your Beds of Roses will be done soon, then you can start Corinthians. 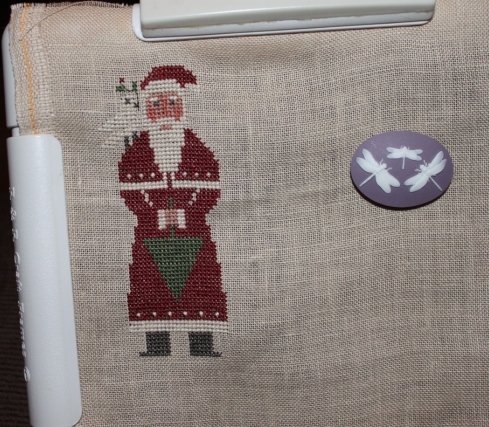 Good idea to stitch a Santa ornament with snowman that covers both themes! Awesome stitchin', Ruth. I love how you're such a diverse crafter. What beautiful projects you do. They are exquisite and not easy either! Your scissor keep is so cute! Did you make that too? I want one! LOL! 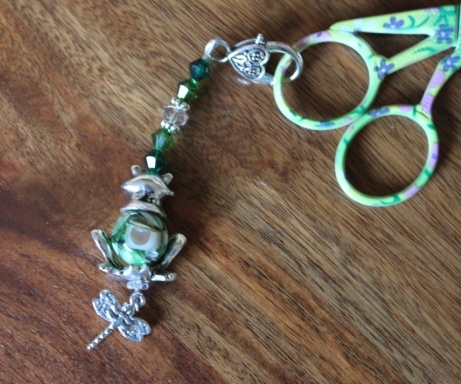 That scissors keep is adorable…hopefully he will keep the frogs away from your stitching!! =) Bed of Roses looks great and so does the Santa.So which of those lovely kits will you start first? ?